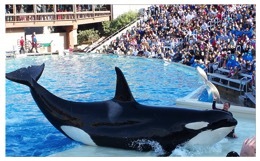 22 May 2015 What Do Corky the Orca and Hercules the Chimpanzee Have in Common? What do Corky the orca and Hercules the chimpanzee have in common? You’ll have to read my op-ed in today’s San Diego Union-Tribune. In the piece, I explain how current legal developments that will play out over the next weeks and months, could begin to impact your ability to benefit from medical research or go to a zoo. Although those facts seem noncontroversial, both required adjudication. In April, it took a correction from Manhattan Supreme Court Justice Barbara Jaffe to establish that Hercules was not in fact a person eligible for a writ of habeas corpus. The New York Post reported that the judge “acknowledged that she inadvertently got turned into a monkey’s uncle by signing court papers, submitted by (The Nonhuman Rights Project) that inadvertently bestowed human status on two chimpanzees” used at a state university. The case is not over. A hearing on whether the “imprisoned” chimpanzees have special humanlike rights is scheduled for May 27. The piece also explains how the animal liberation movement undermines not only the interests of humans, but of animals. When animal rights extremists raise huge sums of money off our concern for animal welfare, but use the money to advance a rights agenda, they divert critically needed money, awareness and advocacy-resources away from actual animal welfare. Radical activists such as PETA and their allies have become better at masking their unpopular agenda. But don’t be fooled. The best way to come together and truly protect animals is to advance animal welfare and reject animal rights.